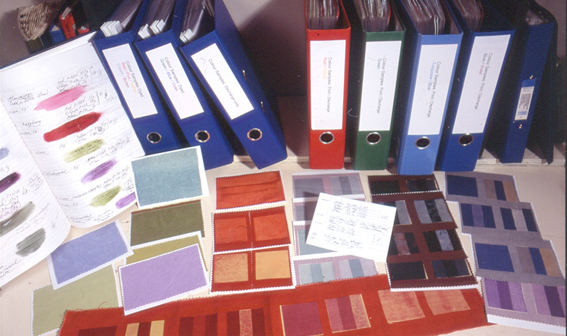 Dye and screen-print your own designs onto fabric and achieve professional results. Joanna’s courses and workshops continue to be popular with both experienced artists and makers who want some concentrated time to develop their work, as well as those new to print. Small groups of 3 participants allow plenty of individual attention and work space, as Joanna guides you expertly through each stage, creating a supportive and friendly atmosphere. 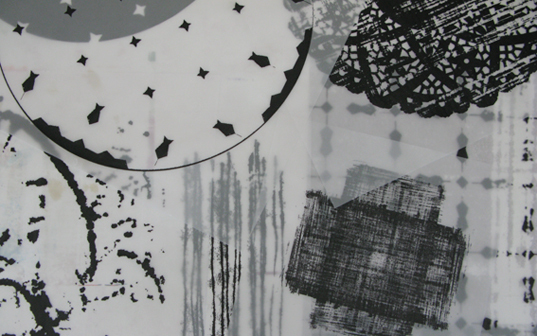 Due to unforseen circumstances, a last-minute cancellation has meant that there is once again one place available on the next ‘Dyeing and Screen-Printing on Textiles’ course. Runs from Wednesday 30th March – Sunday 3rd April 2016 inclusive. 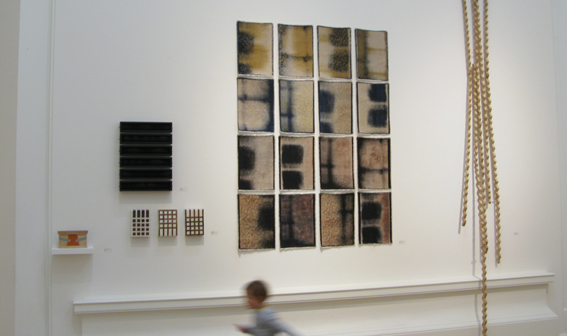 Resonance is currently on show in Edinburgh, as part of ‘Converge 2016′, Visual Arts Scotland’s annual exhibition at the Scottish National Galleries Academy Building. Consisting of 16 painted and screen-printed linen panels, Resonance measures 194cm x 140cm. It is part of Perpetual Mapping, an ongoing series that explores the theme of ‘plotted routes’ that link place and time. Examining ideas of boundaries, junctions and intersections, where one thing may start, end, or overlap another, the pieces symbolise the internal mapping of thoughts, as well as external paths taken. ‘Converge 2016′ runs until 20th February 2016; 10am-5pm every day. 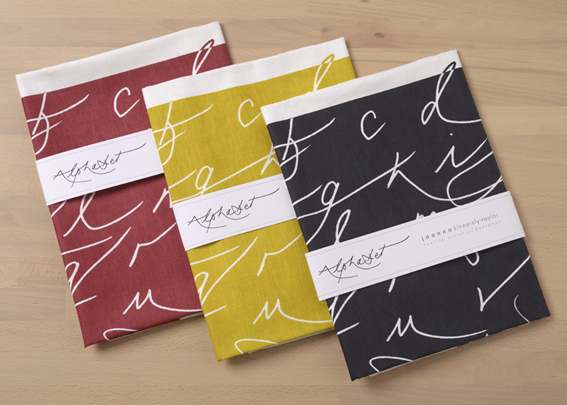 Hot off the print table, the new Alphabet range of tea towels is now available by mail order. Reflecting my love of lettering, the script appears in both positive and negative to create a strong graphic statement. 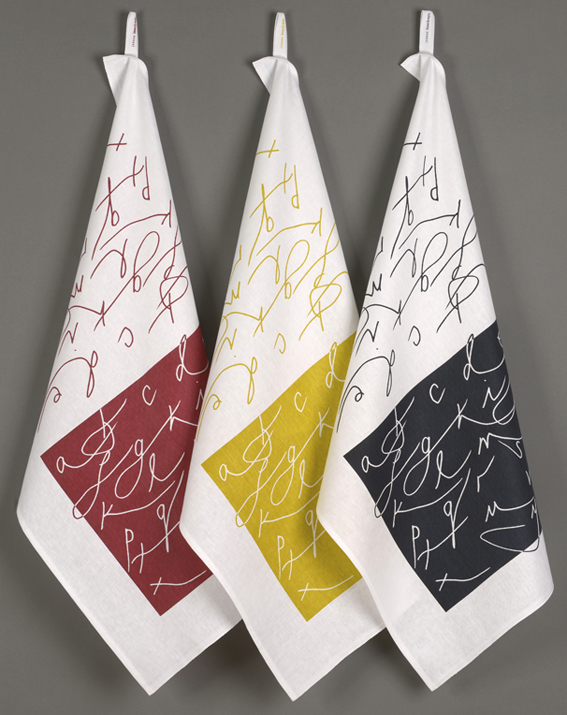 Available in 3 bold colours – Raspberry, Cromer Yellow and Blue-Black – Alphabet tea towels are priced at £15 + p&p. 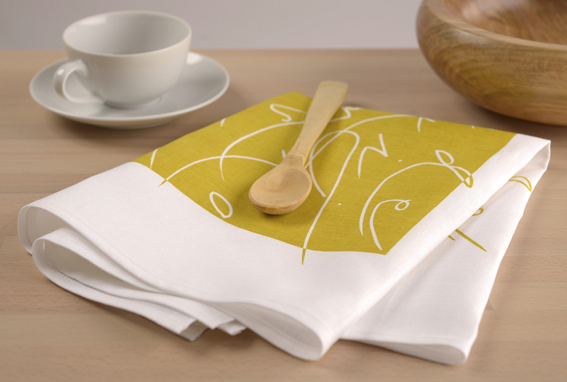 They are hand-printed on linen union, measure a generous 55cm x 77cm, and make a great Christmas gift. There is still one place available on the next 5-day course, which runs from 23rd-27th November 2015 inclusive. 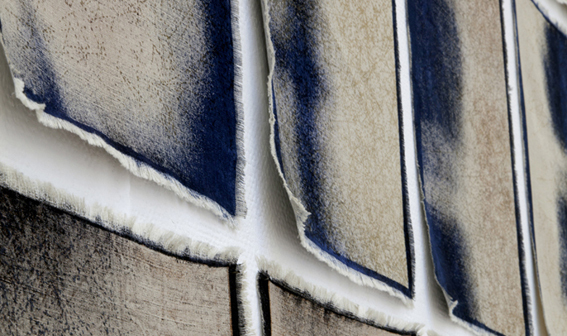 Over the 5 days, you’ll work with like-minded people and immerse yourself in everything from design development, preparation of artwork for transfer to screens and screen exposure, through to dyeing fabric, mixing pastes, printing, fixing and finishing. All this takes place in Joanna’s large, well-equipped studio in Glasgow, and with just 3 participants you have expert tuition and plenty of print table space. There is a 3-day course running from Saturday 17th – Monday 19th October 2015. 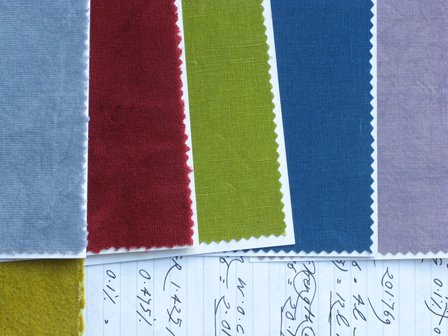 Screen-print your own designs onto fabric and achieve professional results. Joanna’s courses and workshops continue to be popular with both experienced artists and makers who want some concentrated time to develop their work, as well as those new to print. This 3-day version of the course is designed for those unable to find time for 5-days, whilst still enabling a satisfying amount of work to be produced. The main differences between the two courses are that participants provide artwork in advance so silk-screens are ready on arrival, and dyeing is omitted from the schedule, thus still allowing 3 full days of printing. On booking, participants are given a guide to assist them in preparing imagery for transfer to silk-screen. Small groups of 3 participants allow plenty of individual attention and work space, as Joanna guides you expertly through each stage, creating a supportive and friendly atmosphere. Courses run throughout the year.